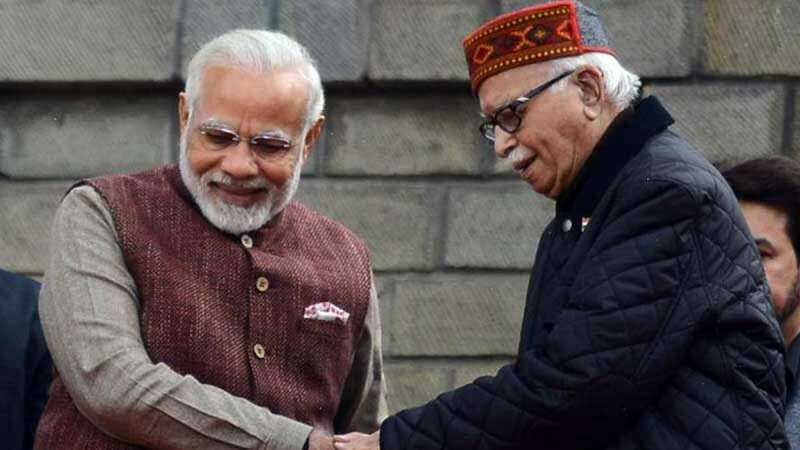 New Delhi : Reacting on the veteran leader LK Advani's advice - "look back, look ahead and look within" - on Thursday via a blog, PM Narendra Modi said that he perfectly summed up the true essence of the party. The 91-year-old leader has been given rest by the Bharatiya Janata Party ahead of the Lok Sabha Election 2019. LK Advani, who is believed to be upset by the decision, broke his silence in a blog titled "Nation First, Party Next, Self Last", he said that the party never regarded his critics as "enemies" or "anti-nationals", and stressed on "democracy and democratic traditions" within. LK Advani's Lok Sabha seat from Gandhinagar has been given to the BJP president Amit Shah in the Lok Sabha Election 2019.